Who would have thought that Jellal has forgotten everything and the only thing he can remember is the name Erza, not even knowing who she is or what she is like. Ugh, it’s so frustrating how Jellal is supposed to be evil but he looked so hurt and sad that I couldn’t bring myself to dislike him. It was pretty sad to see how he’s suffering for things he doesn’t even remember doing. NOO, Jellal shouldn’t die~ I hope Erza is able to save him. .. -__- Natsu should have rolled off the raft so that he could join the fight. Lyon is not dead, yayy. How could he have died? It would’ve been lame for him to die. Not only did he survive but he even saved Racer. I don’t really care about Racer but it’s just how Lyon was so kind so save that dude. 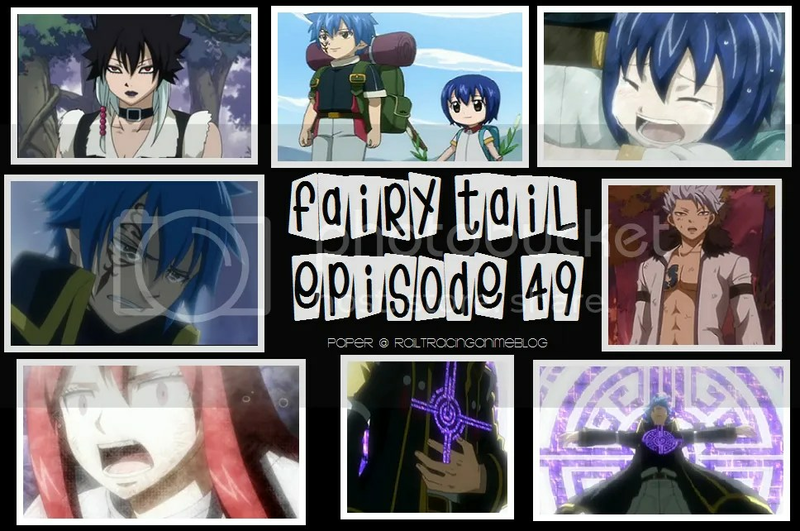 This entry was posted in Anime, Currently Watching, Fairy Tail and tagged anime, Fairy Tail. Bookmark the permalink.